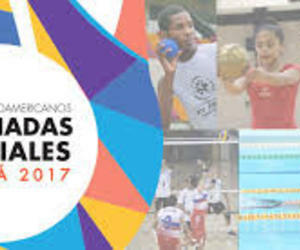 Cuba concluded its performance in the 3 rd Special Olympics Latin America Regional Games, with stage in Panama, with four gold, one silver and two bronze medals. According to Prensa Latina (PL) news agency, three out of the four titles were reached in athletics by the Cuban delegation, which only included six athletes. The champions in that sport were the sprinters Tomas Collazo and Yahimet Licea, in the men´s and women´s 200 meters, in that order, as well as the members of the 4x100 meters relay. Collazo, Licea, Lenis Arteaga and Yariel Garcia made up the golden quartet, and Garcia, in addition, won a bronze medal in the men´s 200 meters, PL reported. The other Cuban crown went to table tennis player Susana Ibañez, while swimmer Lizandra Utria ranked second and third in the women´s 50 meters freestyle and backstroke events, respectively. The continental multisport event had six days of competitive activity and brought together some 800 athletes from 21 countries, competing in the sports of athletics, basketball, bocce, bowling, gymnastics rhythmic, swimming, tennis, table tennis, football and volleyball.